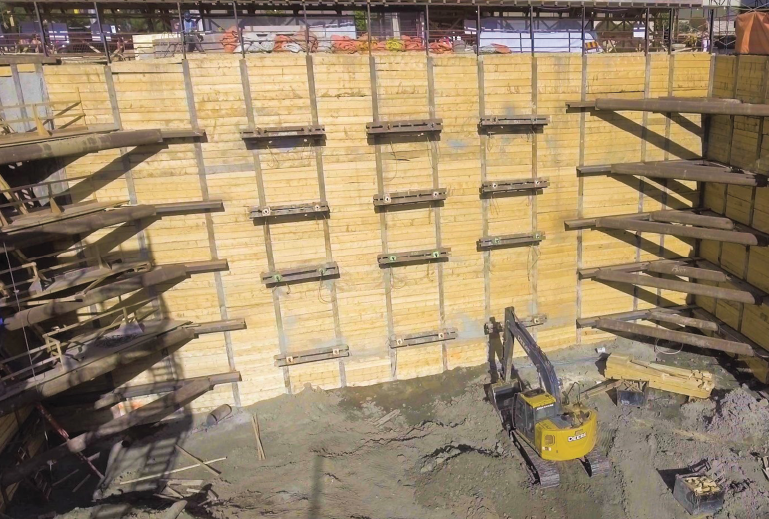 Piling Canada is the premier national voice for the Canadian deep foundation construction industry. Piling Canada Q1, 2019 is here! Doublestar Drilling (DSD) was awarded the Augustana Residential Tower project during the fall of 2017. This anchored soldier pile and lagging shoring system was located in Edmonton, Alta. With a total excavation depth of 19 metres, this became DSD’s deepest lagging system to date. 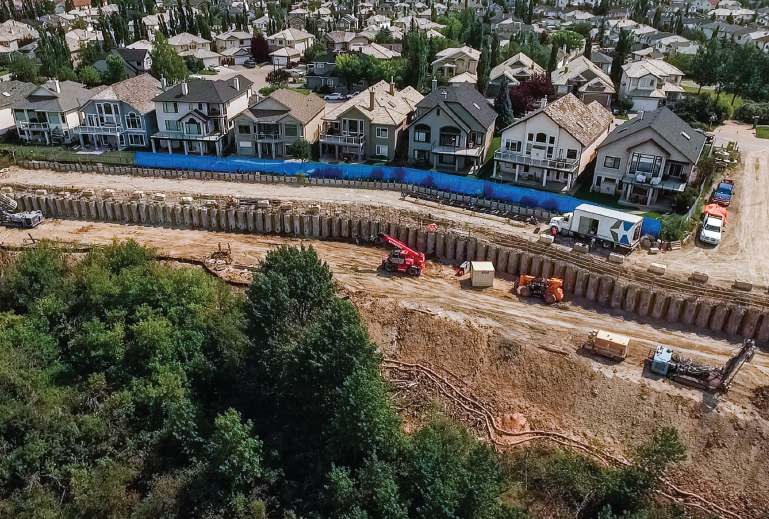 In November 2017, Pomerleau awarded Doublestar Drilling (DSD) the Douglasdale-McKenzie Lake Slope Stabilization & Pathway Project located in Calgary, Alta., on the banks of the Bow River. DSD was responsible for supplying and installing 236 cast-in-place (CIP) concrete piles, 234 rock anchors, 225 micropiles, 800 m2 of shotcrete and the installation of geotechnical instruments: Slope Inclinometers and CSL Tubes. 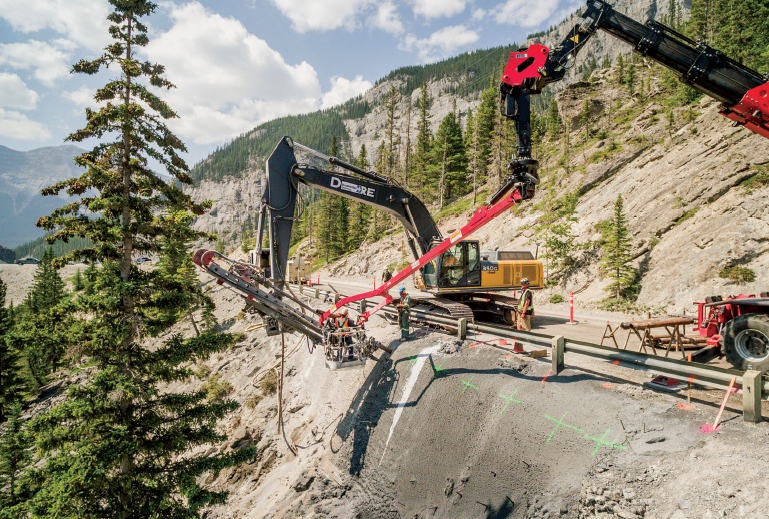 Doublestar Drilling (DSD) was awarded the Spray Lakes Slide Repair Project by Alberta Transportation in late May 2018 as prime contractor. Pre-project planning was critical to ensure all safety risk factors were discovered, and to allow for a proper and timely execution of the design. 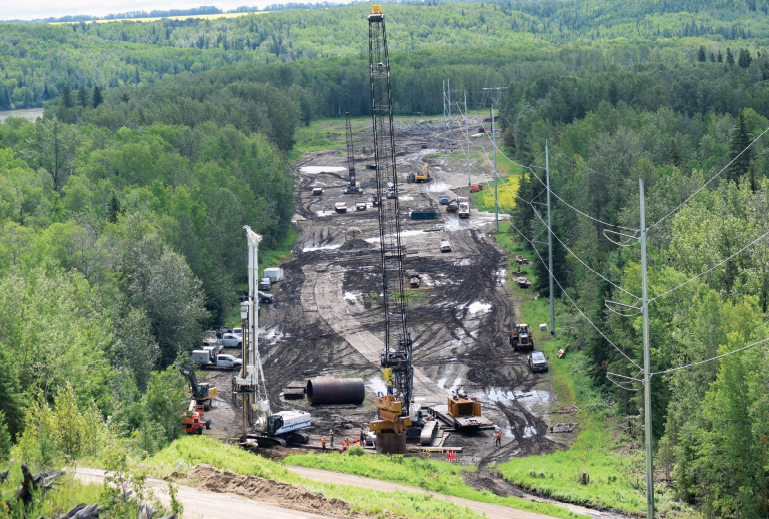 One of the first of its kind in Alberta, the Fort McMurray West 500-kV Transmission Project (WFMAC) is owned by Alberta PowerLine, a partnership between ATCO and Quanta Services, Inc. This is the first project awarded under the newly instituted Competitive Process by the Alberta Electric System Operator.